Reel Talk Online: BLAIR WITCH Trailer: Why Are We Back In These Ominous Woods Looking For Invisible Ghosts? BLAIR WITCH Trailer: Why Are We Back In These Ominous Woods Looking For Invisible Ghosts? 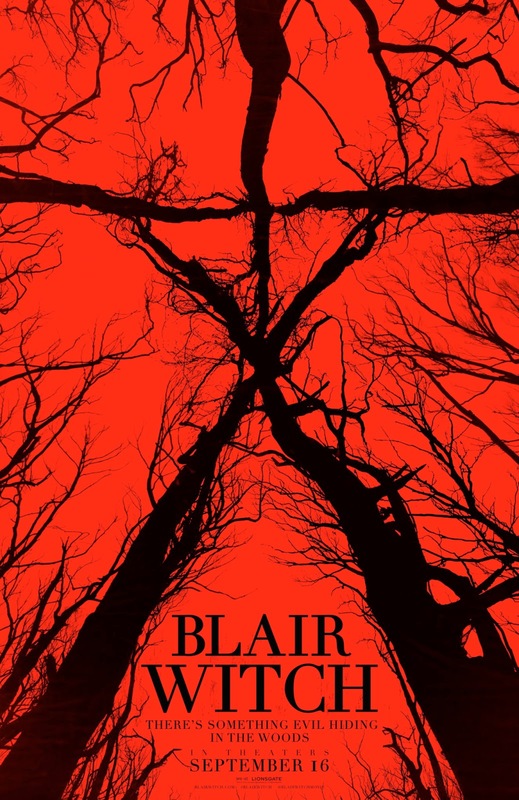 Judging by the new trailer for BLAIR WITCH, I can only assume that Hollywood has run through all the found footage narratives they could possibly think of, so now they are revisiting the first successful one--unfortunately for me and so many others who've been bullied into silence because the film has been so appallingly immortalized. (I'll start a support group for all of us soon). BLAIR WITCH hits theaters September 16. Will you watch? The trailer is really well-done, and I'm actually kind of excited about this one! I hope they showed all the jumpscares in this trailer and the movie has some actual tension. I don't have any expectations for this movie but the first one was basically the scariest thing ever in my childhood, besides The Ring "shudders" so I hope this will turn out good﻿.